In this article, I will try to introduce how to build a scanning mirror in Non-Sequential in ZEMAX ( You can directly download the sample file from here.). There is already an article on how to model a scanning mirror in ZEMAX’s knowledge base. 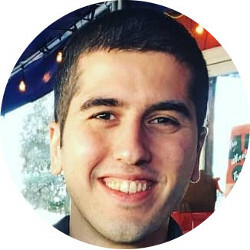 But that article introduces scanning mirror configuration in Mixed mode. To model scanning mirror you first need to place a rectangular volume in your design. And define it’s material as “MIRROR”. 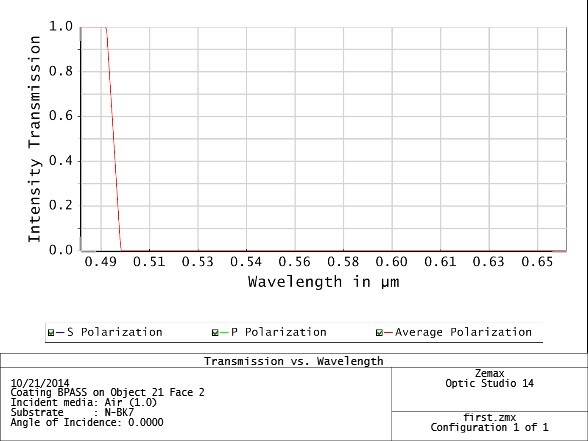 And put it in front of a light source that is to be scanned on to a detector surface, see below figure. Component editor view for scanning mirror model from ZEMAX. If you are familiar with the multi-configuration editor rest will be a piece of cake. Otherwise you can search multi-configuration in ZEMAX’s knowledge base. Just click on “editors” menu found in Zemax main window and click on “Multi-Configuration” to open the editor. Note that you can open the editor by pressing F7 in your keyboard. If you click on edit in the multi-configuration window and then “insert config” (ctrl-shift-insert); you will be adding a new configuration which means different state of your scanning mirror. Let’s assume you want to simulate three different states of your mirror (-40,-45,-50 degrees in my example), you need to add two new configurations by pressing “insert config” from edit menu of multi-configuration. To adjust the position of the scanner, you need to insert new state item by clicking on “insert operand” (or press insert in your keyboard). The operand types that are useful for non-sequential mode is NPOS,NPAR,… note that N states the non-sequential mode. Since you want to move your scanner you need to change the operand type to NPOS by clicking on the newly added item on your multi-configuration list. Rest you type surface as “1” object as object number in your non-sequential component editor (2 in my example) and Pos code as 4 which corresponds to “Tilt About X” in non-sequential component editor (see ZEMAX manual for additional information). 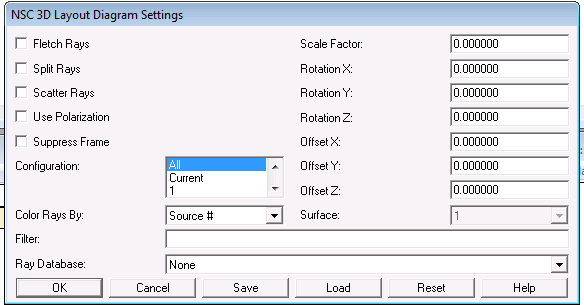 And then click OK and adjust each values for different configurations from multi-configuration editor, see below figure. If you open your NSC 3D Layout you will see something similar as in below figure. 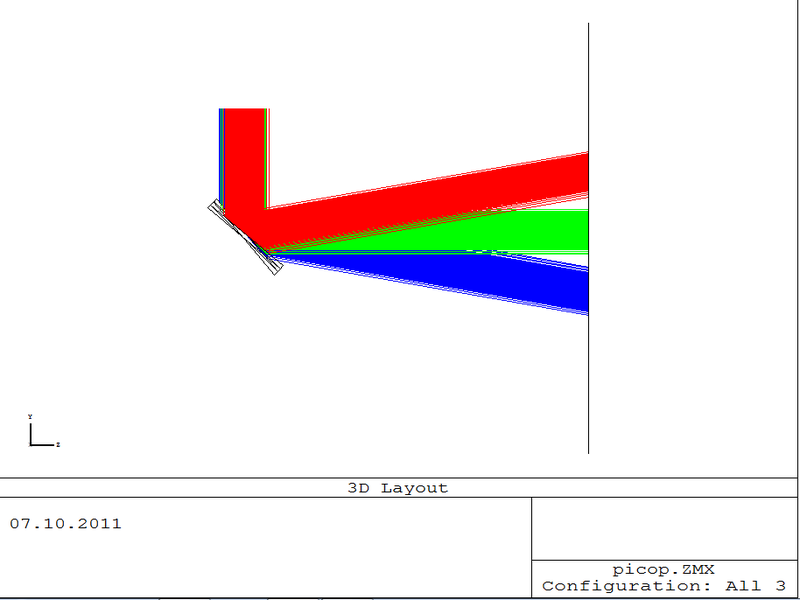 If you click on settings in NSC 3D Layout window, a window appear as in below figure. In the place of configuration you can choose which configuration to show or even can show then at once by selecting all. 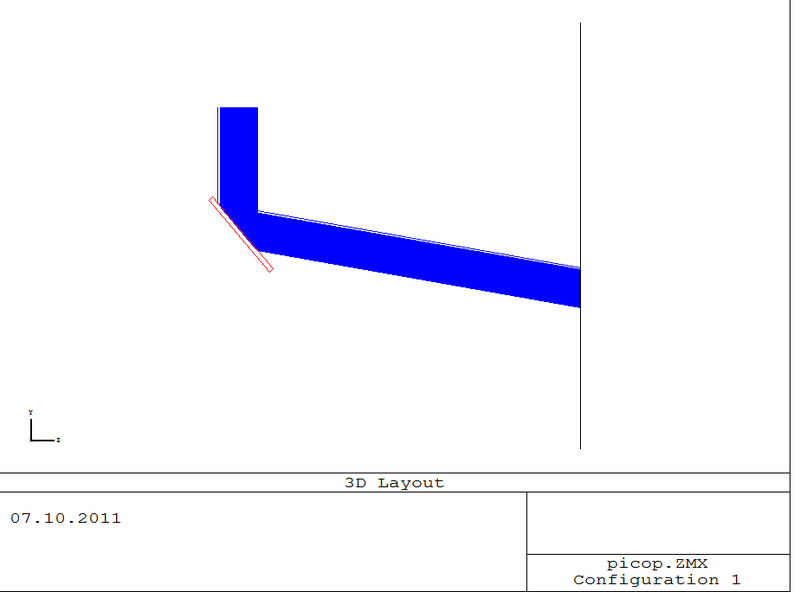 If you select all, you will end up seeing a figure as in below in NSC 3D Layout. I prepared an example ZEMAX file which contains usage of NPAR parameter also to do scanning of different light sources.